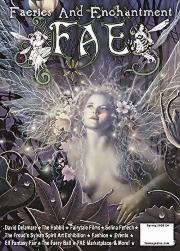 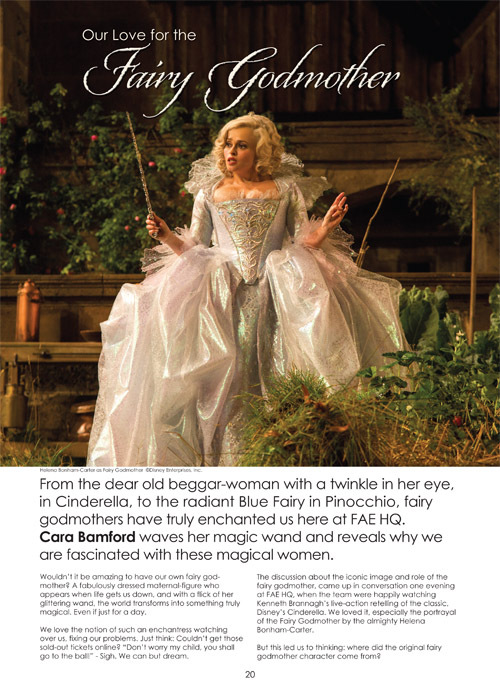 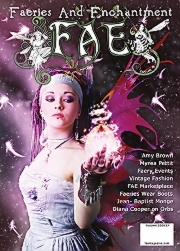 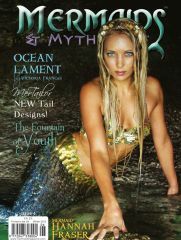 There is so much magic inside the winter edition of FAE! 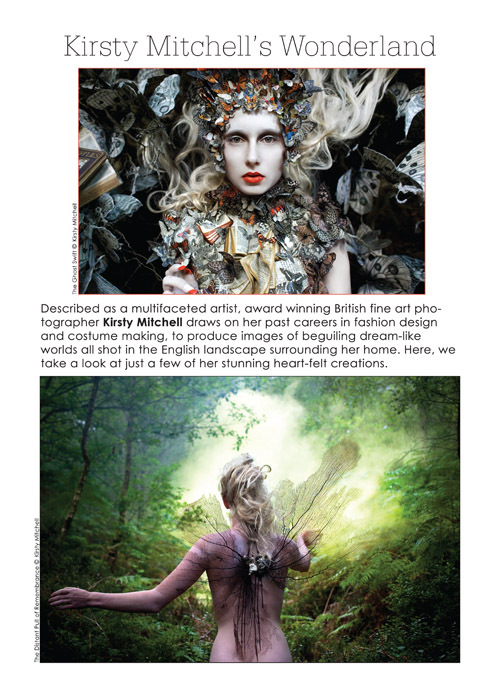 We are beyond excited to feature Kirsty Mitchell's Wonderland, her photographic art is breath-taking and just like a true fairytale. 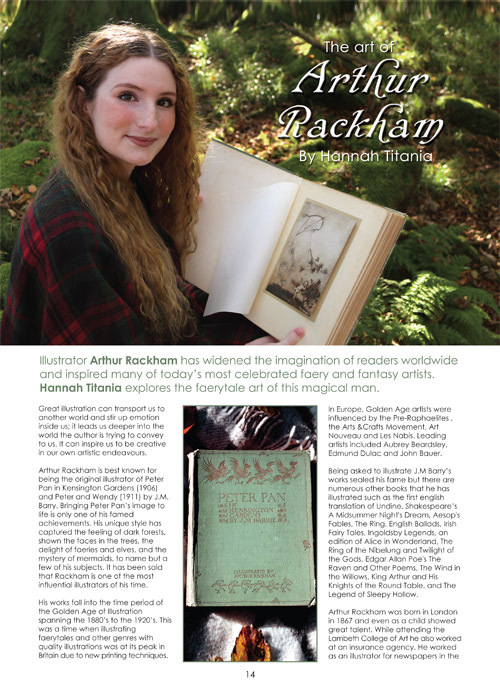 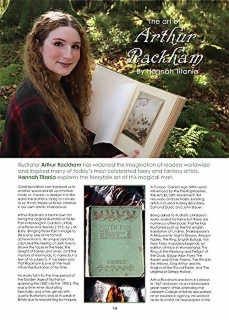 Hannah Titania writes about artist Arthur Rackham, whilst Cara Bamford explores our love for the Fairy Godmother including Helena Bonham Carter's portrayal. 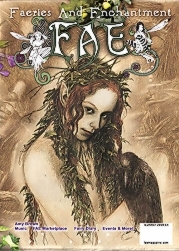 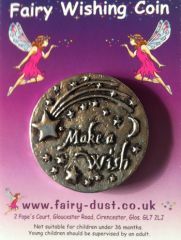 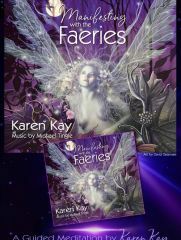 We spend winter with the Froud's and their very cheeky faeries! 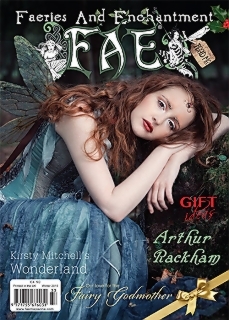 Atlantis Fae shares her top beauty picks for the party season, and the Fairytale traveller shows us some super cool places to visit with a festive feel. 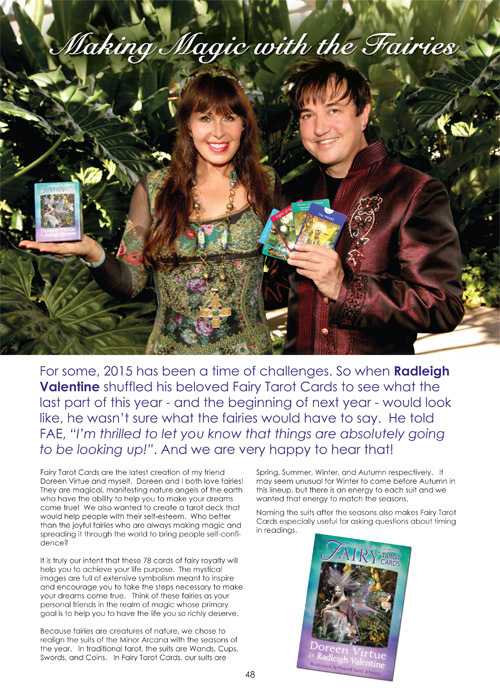 Radleigh Valentine gives us a 3 card winter fairy forecast! 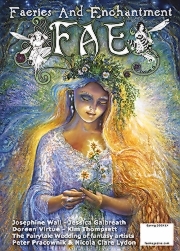 And, Astrologer, Solaris shows us the planetary aspects for the coming months. 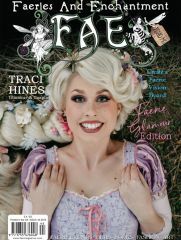 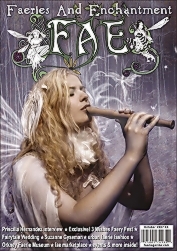 The cover features the ethereal Rosie Flame, photographed by Carri Angel, plus there's a photo feature inside with photography by Carri, and Angela Harper. 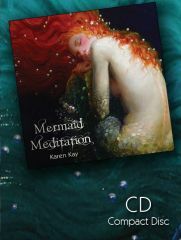 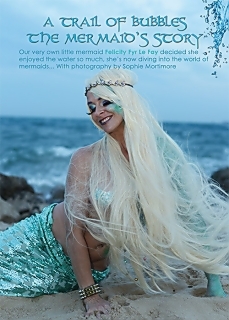 Ceri Norman looks at the relationship between Faeries and Witches, and Felicity Fyr Le Fay puts on her tail and takes us on a trail of bubbles as she explores the watery depths of the mermaid realm. 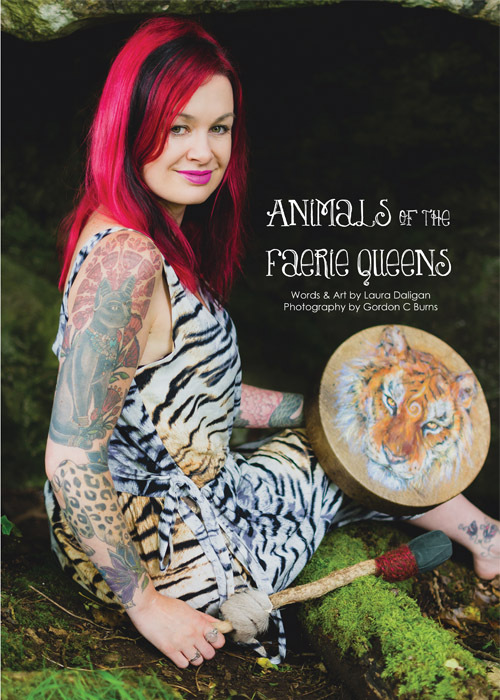 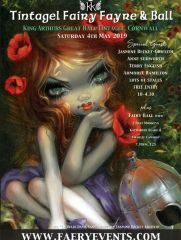 Laura Daligan talks about the Animals of Faerie Queens, and we hear a review of the recent Middle Earth Faery Ball from two delightful overseas visitors. 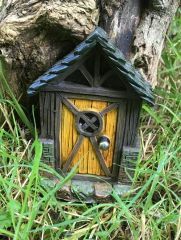 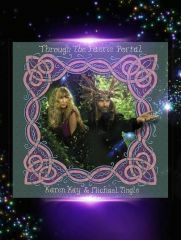 Cheryl Rose tells us what it’s like to really live in Narnia, and Natty Lotus Flowers takes us on a guided mediation in her Faerie Yoga column. 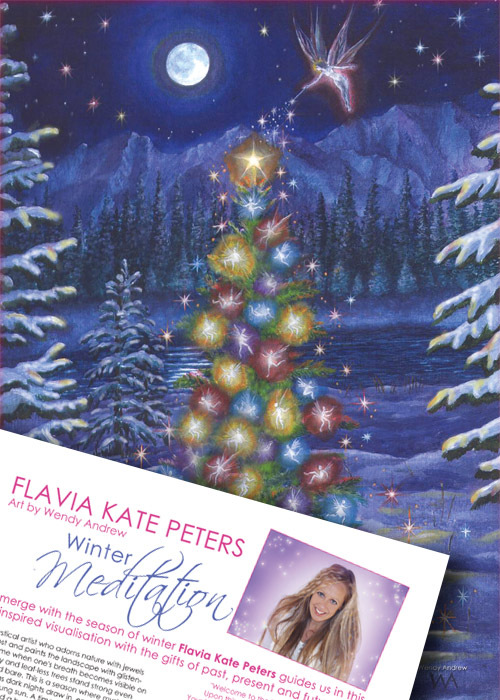 Flavia Kate Peters leads us in a journey to a winter wonderland with the gifts of Christmas past, present and future… Plus its of exciting Fairy News, a jam packed Fairy diary and so much more! 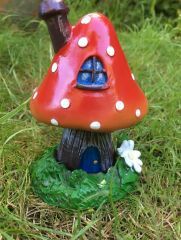 See you inside!